Q: What’s new in ACL Reconstruction? A: Recently, the Multicenter Orthopaedic Outcomes Network (MOON) published their data on anterior cruciate ligament (ACL) reconstruction. The MOON group studied over 4,000 patients from 7 different institutions who had anterior cruciate ligament (ACL) reconstruction surgery of the knee and published their findings. The ACL is one of the primary stabilizing ligaments of the knee. I see and treat a large number of ACL tears here in ski country. ACL tears are very common in young, active persons. It is estimated that there are about 200,000 ACL reconstruction surgeries performed annually in the US each year. The goal of the surgery is to restore normal knee biomechanics so that patients can return to cutting and pivoting sports, as well as stabilizing the knee so that meniscus tears and articular cartilage damage can hopefully be avoided. Patients with ACL tears often ask me about whether they should have their ACL reconstructed with a donor tendon (allograft) or reconstructed using one of their own tendons (autograft). I counsel young, active patients that they should strongly consider an autograft for their ACL reconstructions as the re-tear rates are considerably lower compared to an allograft ACL. The MOON study showed that the retear rate for an ACL reconstruction using auograft in a 20 year old patient was slightly less than 5%, whereas in the allograft group, the retear rate was 15% or 3 times higher. By the time a patient is 40 years of age, the retear rate drops to around 3% for allograft and 1% for autograft ACL reconstructions. Unfortunately, in some studies, the risk of a patient tearing their normal ACL in their other knee was even higher than the rate of tearing an autograft ACL. This same study also confirmed that lateral meniscal tears are more common than medial meniscus tears when someone tears their ACL. The meniscus is the rubbery, half moon shaped cartilage that sits between the femur and tibia. The meniscus acts as a shock absorber cartilage by protecting the articular or coating cartilage on the end of the femur and tibia. Osteoarthritis is the process whereby this articular cartilage wears down. The MOON study again showed that having intact meniscus cartilages is even more important than having an intact ACL in preventing osteoarthritis. One of the most important factors in a successful ACL reconstruction surgery is proper placement of the graft in the knee. In surgery, a small drill hole is made in the femur and another in the tibia and the graft is threaded up into these tunnels and secured. The surgeons from this MOON study concluded that drilling the tunnels independent of one another and not drilling the femoral tunnel by working through the tibial tunnel leads to better and more anatomic placement of the ACL graft and thus to better results. Finally, the MOON study agreed that accelerated rehabilitation and physical therapy with the goal of returning patients to cutting and pivoting sports by 6 months was found to be safe. 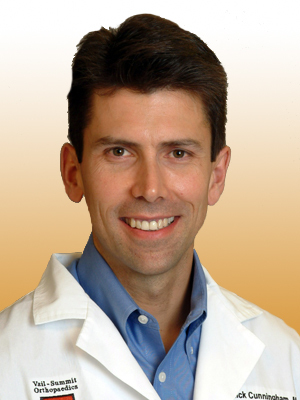 Dr. Rick Cunningham is a Knee and Shoulder Sports Medicine Specialist with Vail-Summit Orthopaedics. He is a Physician for the US Ski Team and Chief of Surgery at Vail Valley Medical Center. Do you have a sports medicine question you’d like him to answer in this column? Visit his website at www.vailknee.com to submit your topic idea. 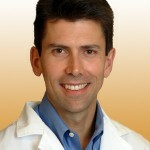 For more information about Vail-Summit Orthopaedics, visit www.vsortho.com.